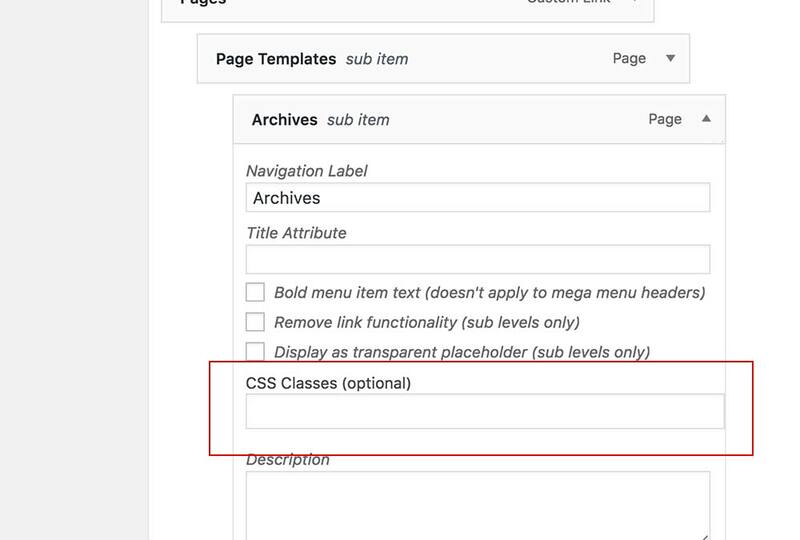 Adding CSS classes to menu items in the menu builder is a default feature of WordPress. But sometimes, this option is initially hidden to users. Don't let this confuse you, as you can easily display it. At Appearance > Menus, click the "Screen Options" tab at the top right corner of the screen. Then, check the box that says, "CSS Classes." Then, when editing individual menu items, you'll see the "CSS Classes" option.